Choose a scale for your den (e.g. to fit you or your toy). 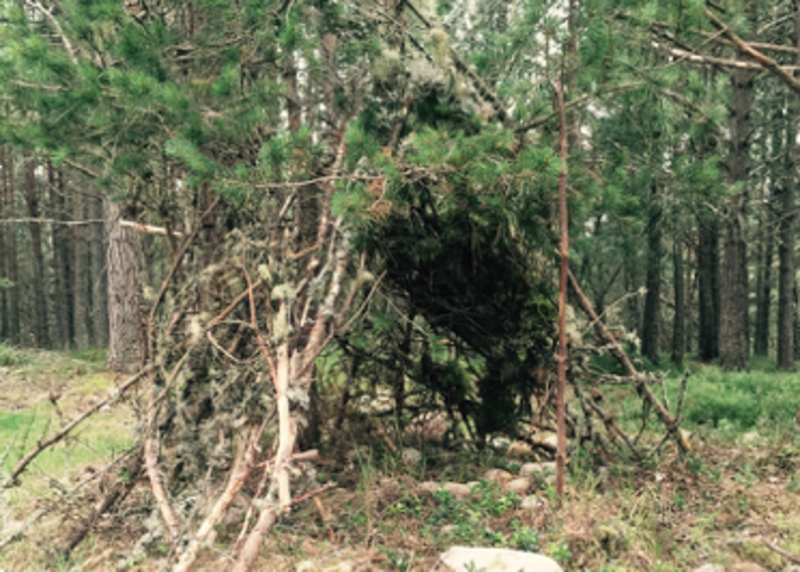 Build a den using available resources. Older children can be taught knotting/lashing to create tripods or screens for larger structures. Devise a game which involves using the den(s). Act out a story based on the woodland den. Write down e.g. the story; an explanation of the game; instructions for building the den.